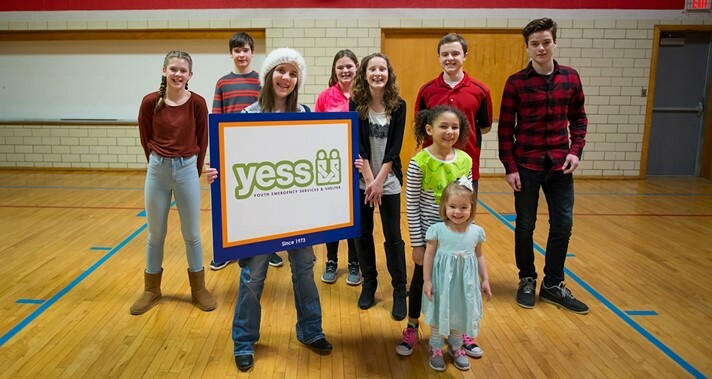 MFLCares April charity is YESS ~ Youth Emergency Services & Shelter is a Des Moines Metro based mission providing a safety net of programs to help kids when they need it most! 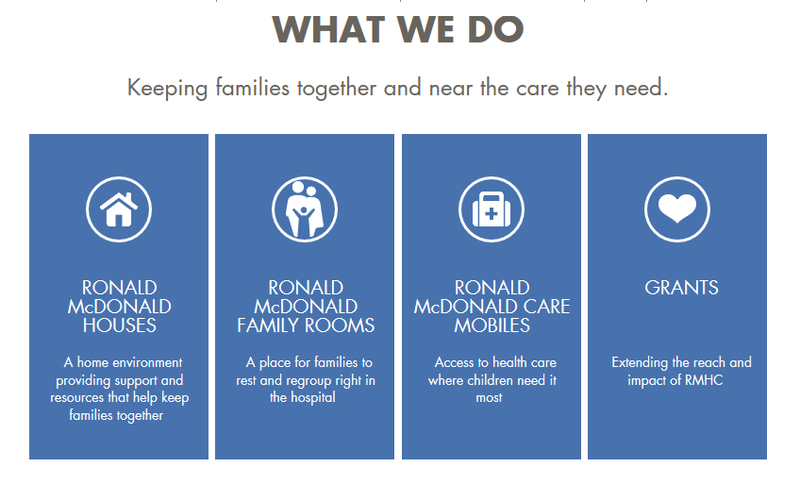 They offer emergency shelter, crisis nursery care, counseling & care coordination. YESS strives to be ready to help kids when issues arise so they can have a safe haven & support system to allow them to be safe and healthy in their own homes. YESS is a nationally-accredited nonprofit organization that uniquely serves our community’s most vulnerable children. MFLCares gives back to Heartland Cancer Foundation! 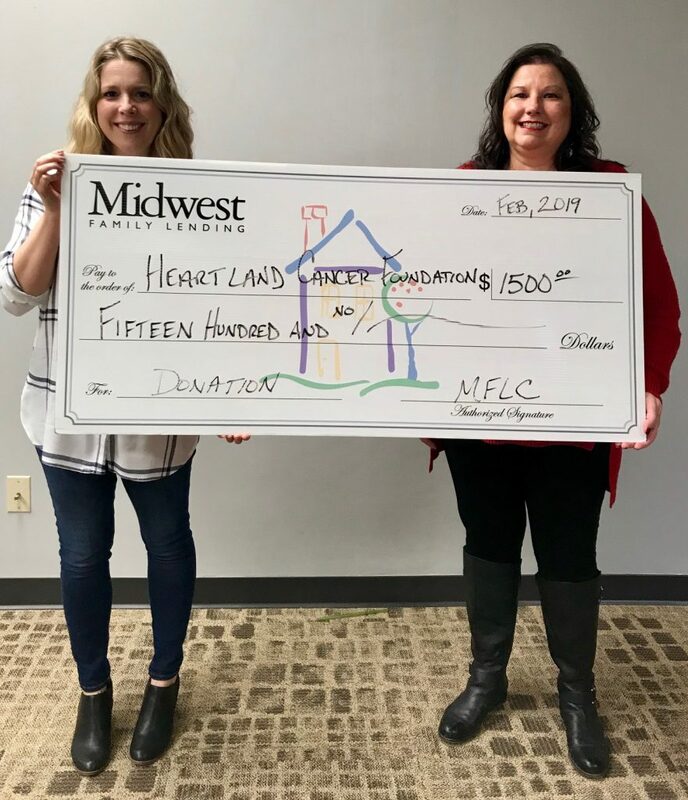 MFLCares continues to support the Midwest, in the month of February our charity was Heartland Cancer Foundation located in Lincoln, Nebraska. Heartland Cancer Foundation mission is to provide practical and immediate assistance to cancer patients so they can focus on healing. An upcoming event is there 6th Annual Heartland Classic Golf Tournament and Symposium – please check out there website or Facebook page for further details. Did you know: every 34 minutes Make-A-Wish® grants the wish of a child diagnosed with a life-threatening medical condition in the United States and its territories. They believe that a wish experience can be a game-changer. This one belief guides them in everything they do. It inspires Make A Wish to grant wishes that change the lives of the kids they serve. 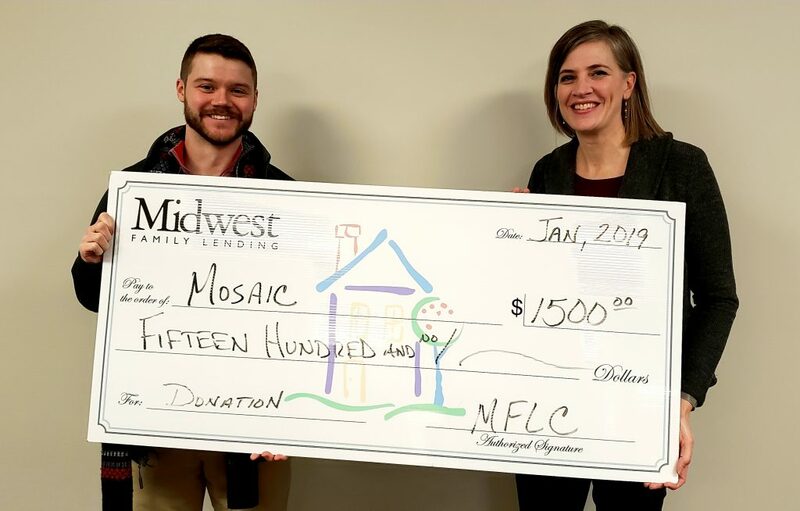 In the month of January, Midwest Family Lending Corp donated $1500 to Mosaic in Central Iowa. MFLCares charity focus in February is the Heartland Cancer Foundation is a Non-profit organization created with one belief: People with cancer should not fall behind because they struggle to afford their expenses. There purpose is to encourage cancer patients, help them overcome financial burdens, and give them compassion so they can thrive. Our January charity is Mosaic which is a faith-based nonprofit serving people with intellectual and developmental disabilities across 10 states. They partner with the people they serve to provide a meaningful life in a caring community, and they help give a voice to their needs. Mosaic tagline is “A life of possibilities” and this is what they do. They see people with disabilities as unique and gifted and want to make sure they have the chance to live the best life possible. Their services are highly personalized and focused on community integration and relationship building. They also participate in international outreach and advocacy and partner with churches and civic organizations to fulfill our mission. Ultimately, they work at the forefront to drive change for the people they serve. We believe the work they do is life-giving and life-changing. Every month they host two Discover the Possibilities lunch & learns at their office located at 11141 Aurora Avenue in Urbandale from 11:30-12:30. They provide lunch and share the stories of who they are, what they do and who they serve. Only one hour – they are short, sweet and to the point! Up and coming dates are: Tuesday, January 29th, Tuesday, February 12th, Tuesday, February 26th, & Thursday, March 7th. RSVP to katie.flippen@mosaicinfo.org or 515-868-0602. They are also happy to bring there stories to share with your group, business, or an organization. Click here to learn more about Mosaic. 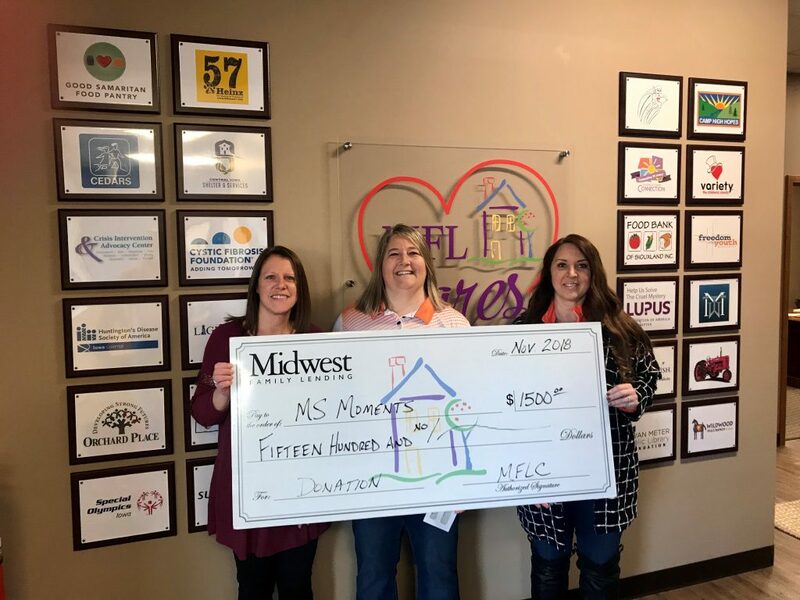 In the month of November MFLCares donated $1500 to MS Moments. MS Moments mission is to provide financial assistance to individuals with MS (and their immediate family members) in Central Iowa to allow them to become members of a fitness organization to promote health, exercise, and mental and physical well-being. 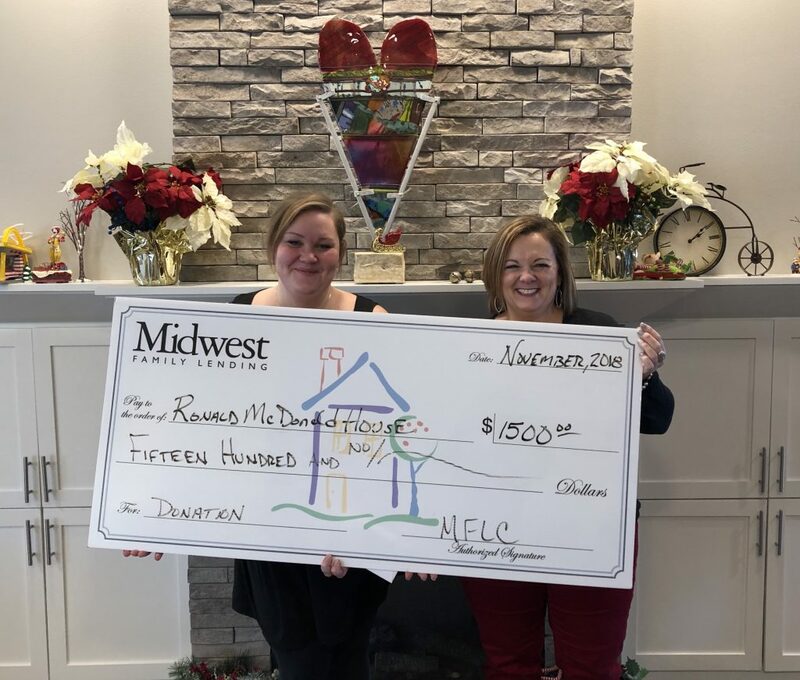 In the month of October, Midwest Family Lending Corp donated $1500 to Ronald McDonald House. Please continue to HELP US HELP OTHERS by supporting the local charities. at the HDSA GALA 2018. 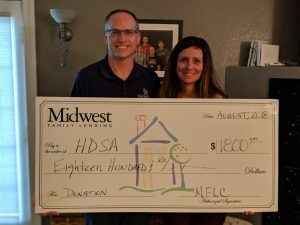 In the month of August, MFLCares donated $1800 to HDSA of Iowa Chapter. 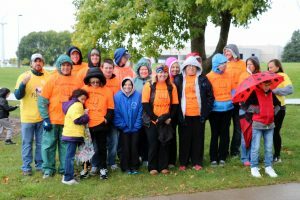 Midwest Family Lending participated at the Ankeny Team Hope Walk at the DMACC campus in August. Midwest Family Lending Corp has chosen to support MS Moments in the month of November and we encourage you to as well. 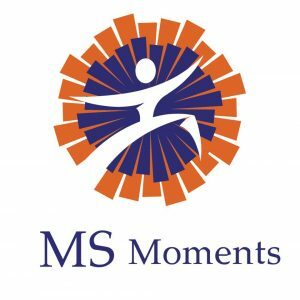 MS Moments is an Iowa nonprofit assisting Iowa families afflicted with Multiple Sclerosis founded by Karrie Anderson after being diagnosed with MS in 2010. MS is an expensive disease and our goal is to relieve some of the financial burden for them. Nearly $.94 of every dollar donated to MS Moments is provided back to these Iowa families to provide grants for medical massage, health club memberships and acupuncture. MS Moments assists the entire family and our mission is to keep families moving! MS Moments was founded in 2015 and is helping over 50 Iowa families. You can get involved by volunteering, participating or donating at www.msmomentsiowa.org. 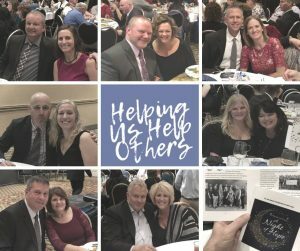 Join us December 12th at 6:00 at the Hyperion Field Club for our Annual Dinner and Keynote where you can meet and/or learn about the families we are helping and hear our plans for 2019!